The AED Plus Trainer2 allows students to experience what it’s like to help save a life with the AED Plus. Choose from four different fixed rescue scenarios or have complete manual control of the entire rescue. 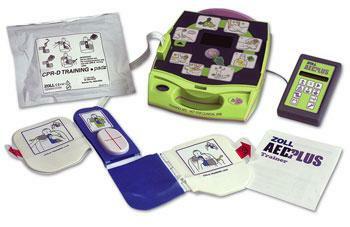 A wireless remote lets you control multiple AED Plus Trainer2s. Batteries, wireless remote, and training electrodes are included.